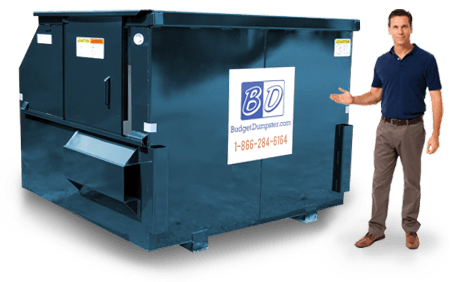 Budget Dumpster is your source for the most affordable commercial dumpsters in Columbia, South Carolina. 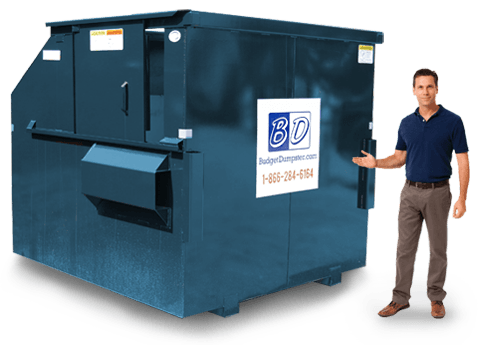 Obtaining a commercial dumpster is somewhat of a commitment, so affordability is not the reason to utilize the services of Budget Dumpster. We have a talented staff that can answer any possible question about removing waste. Our selection of dumpster sizes is the best in all of Columbia. Also, we can service any commercial location in the area. 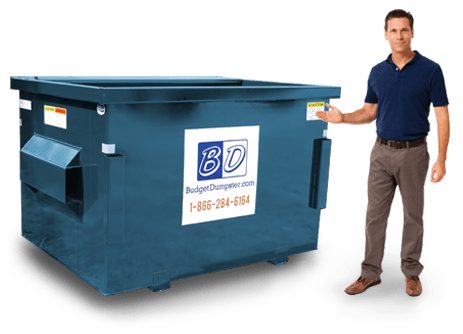 You have enough to worry about in your life, let waste removal be Budget Dumpster's concern. Ideally, we will operate under the radar, coming and going undetected. All you need to know is every time you need to take out the trash, there will be ample space available. 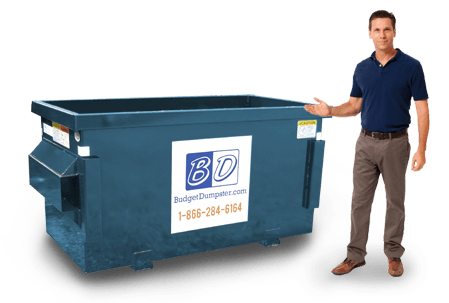 Budget Dumpster is an affordable, hassle-free waste removal experience. Contact us now to take advantage. If you manage a small business with less than 25 employees, you may be interested in the 2 yard commercial dumpster. It can hold between 600-800 lbs. of waste which is equivalent of a one ton pickup truck. So, if your business does not produce a high volume of waste, this unit will be the most economical choice. It is most commonly used for small restaurants and auto-shops. Most small businesses have a limited amount of space. This is our smallest unit which has a small footprint that leaves plenty of room. So it can be easily placed in the back or parking lot. It's a great value for its size and a no-hassle placement, every time. Let's say you have a medium-sized business with about 100 employees. We have the perfect size dumpster for you. The 4 yard commercial dumpster is referred to as "The Size Medium." It's commonly used for medium-sized restaurants and places of worship. This unit can hold between 800-1000 lbs. of waste which is equivalent to two pickup trucks worth of trash. It's only one size up from the 2 yarder which means there's a variety of placement options. Not too big, not too small. A great in-between size. The 4 yarder is used for a variety of businesses because it can accommodate small-to-medium waste streams. Now we're getting into our larger selection of commercial dumpsters. It starts with the 6 yard dumpster, or "The All-Arounder" as we call it. It's nicknamed this because you can practically find it anywhere. Shopping plazas, restaurants, churches, you name it, the 6 yard is there. This massive dumpster can hold between 1200 to 1400 lbs. of trash. If you manage a grocery store that produce a large volume of waste every week, this is the dumpster for you. We even make lifting those heavy trash bags easy for you. Every unit is equipped with an easily accessible sliding door. No more lifting heavy bags over your shoulder. The largest unit we offer is 8 cubic yards and is known internally as the "The Big Daddy" and for a good reason too. It can hold up to 1600 lbs. of waste. If you manage a large apartment complex, you will want to rent this commercial dumpster. It can handle large volumes of trash on a weekly basis. So, your residents will have plenty of room for their trash. The 8 yarder can also handle the occasional bulky materials. When residents are moving in or moving out, they'll be glad you have this size of dumpster.